Erin Kurth is a student at the Michigan State University. She is an ISA Featured Blogger and is researching abroad with EuroScholars in the Netherlands. 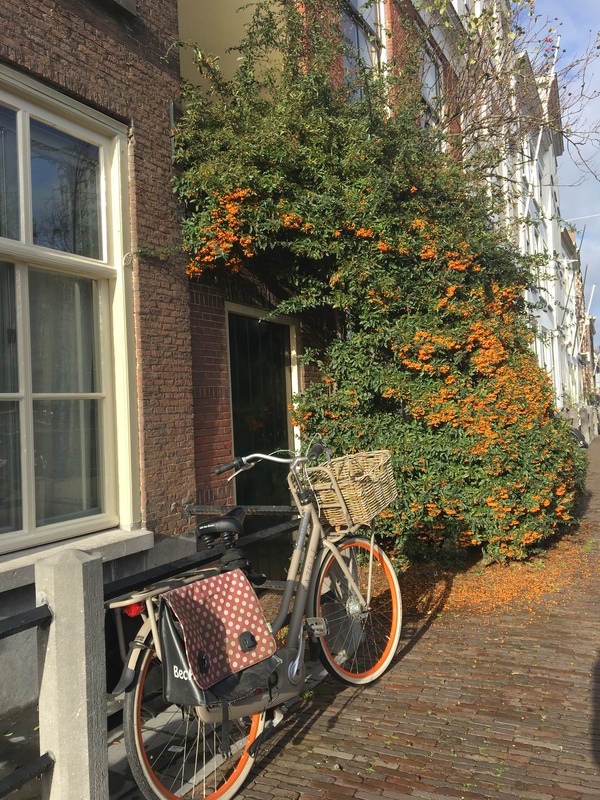 The Netherlands is a country well known by tourists for it’s winding canals, vibrantly colored flowers, and seemingly infinite number of bikes. While all of these charming features can indeed be found almost anywhere in the country, the bright and sunny photos perpetuated by summer tourists gloss over the weather during the rest of the year: weather that tends toward the cold and the cloudy. 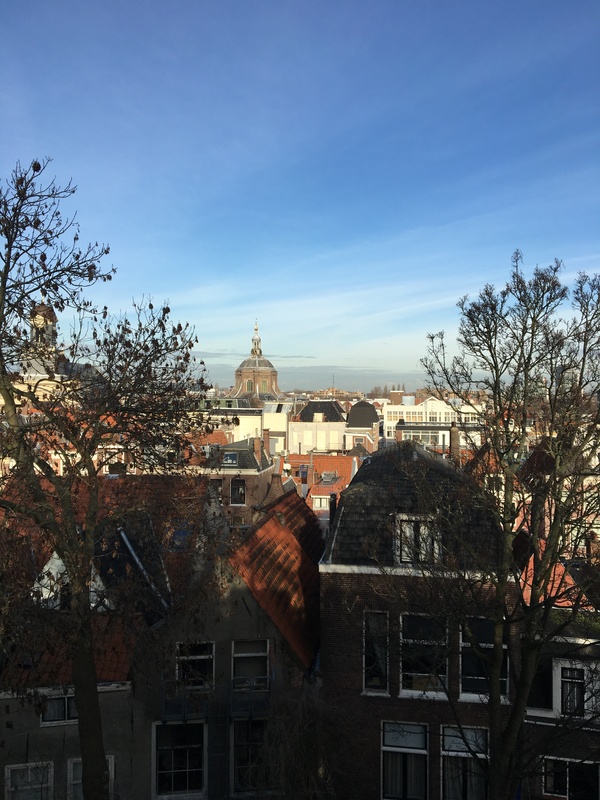 Since arriving in Leiden in the midst of the Dutch winter, I’ve learned some important lessons about battling the weather and the feelings of gloom that often accompany it. A view from the top of the Burcht van Leiden, an old shell keep turned public park. 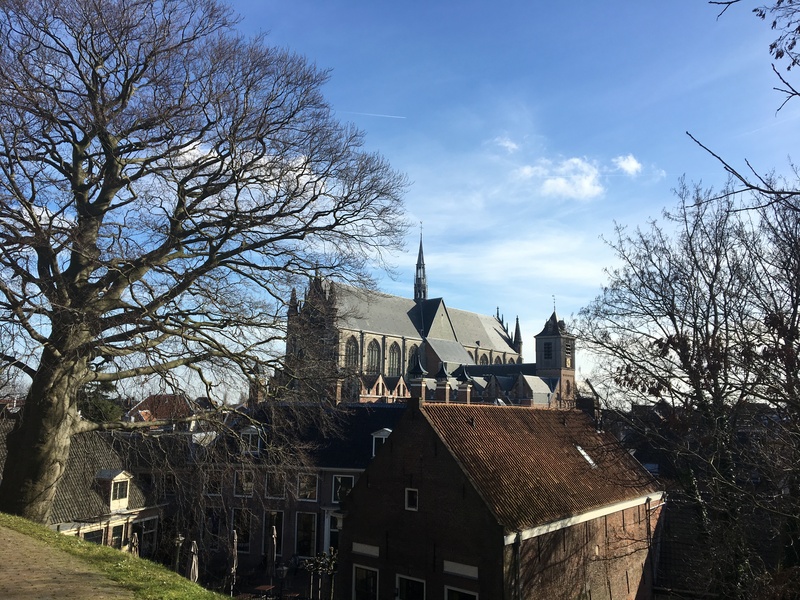 Climb the steps or walk the winding path upwards to see one of the best views of Leiden. Go seek the Vitamin D. When the sun makes its rare and glorious appearances, this is the time to go outside for as long as possible. Even if it’s still cold, reading outside, studying outside, or even just walking or biking to take in the sunlight can do wonders for fighting the winter blues. Cliché as it seems, the sun’s rays really can be healing after weeks of cloudy days. Outside the Burcht van Leiden there are many places to sit on the grass and read. This is one of my favorite places in the city to enjoy the sun when it appears. 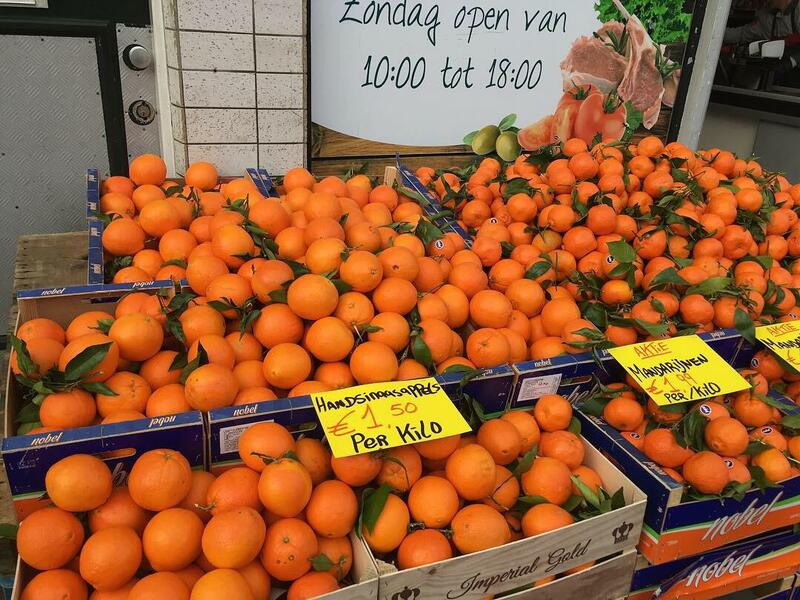 On Wednesdays and Saturdays, the city of Leiden comes alive with incredible street markets, and brightly colored plants and produce become abundant. While these markets are a good place to purchase scarves to fight the chill, they are also the perfect place to the find small pieces of summer to bring home. Pots of tulips on the windowsill and fresh citrus fruits in the kitchen can do wonders for brightening up any apartment, and are safe from even the worst winter weather. Produce from Leiden’s sprawling markets. Go any Wednesday or Saturday for some amazing deals on flowers and fruits! Studying or interning abroad can be a challenging experience, and it can be all too easy to isolate yourself. Winter weather combined with the stress of building a new life abroad can sometimes be too much, and having a network of people close to you can help tremendously. Whether that means a therapist, family, or a tightly-knit group of friends, having a support network can be critical to finding the brightness in winter while abroad. This is a time to make incredible memories, but that doesn’t mean every day will necessarily be incredible individually. Studying outside or planting tulips isn’t going to help all the time, but building a set of skills and friends to help find the brightness gives you something to fall back on when the smaller things don’t work. Life may be harder when the days get colder and darker, but the one certainty remains true: winter never lasts forever. Plants growing up the sides of buildings and in sidewalk cracks give hope that the winter cannot last forever, and summer is on its way.